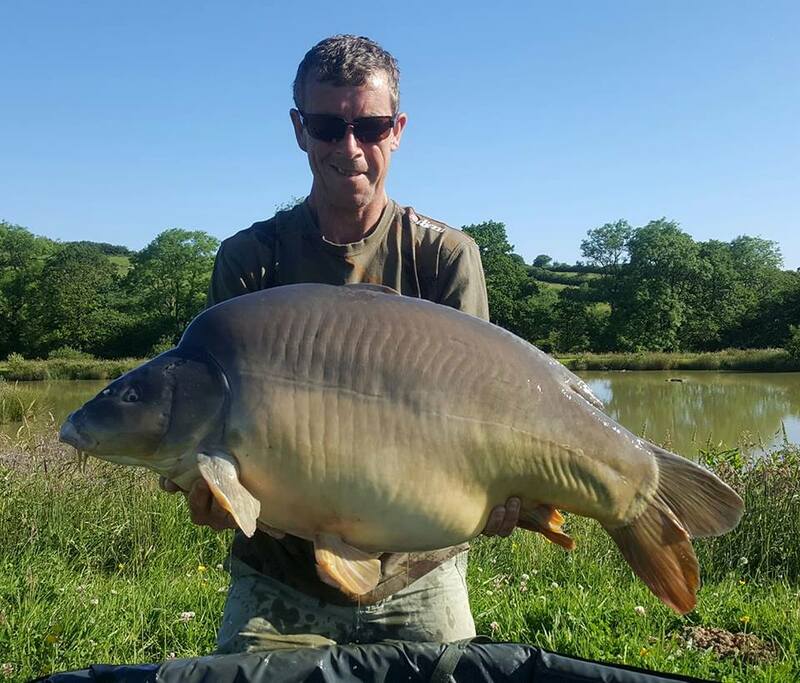 Fifty Three Pound Leather Carp – Devon’s Biggest Living carp! 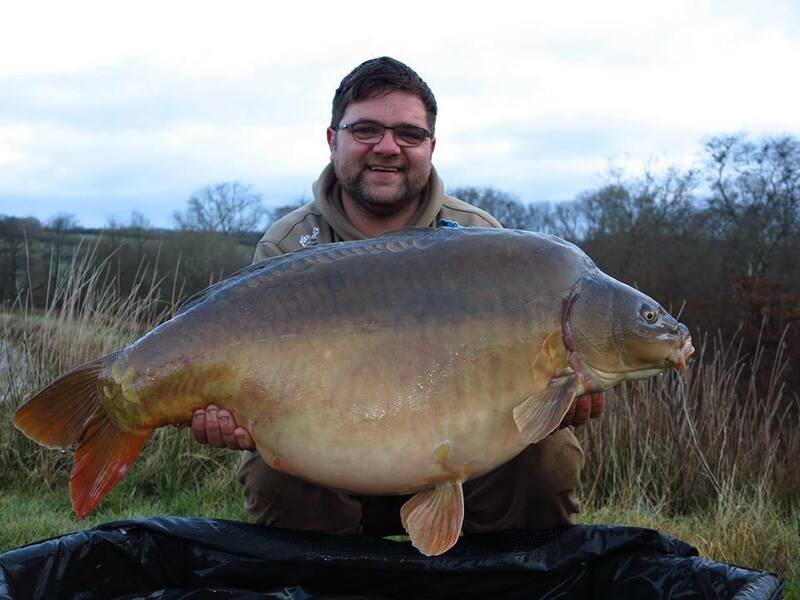 The biggest living Carp in Devon !!! 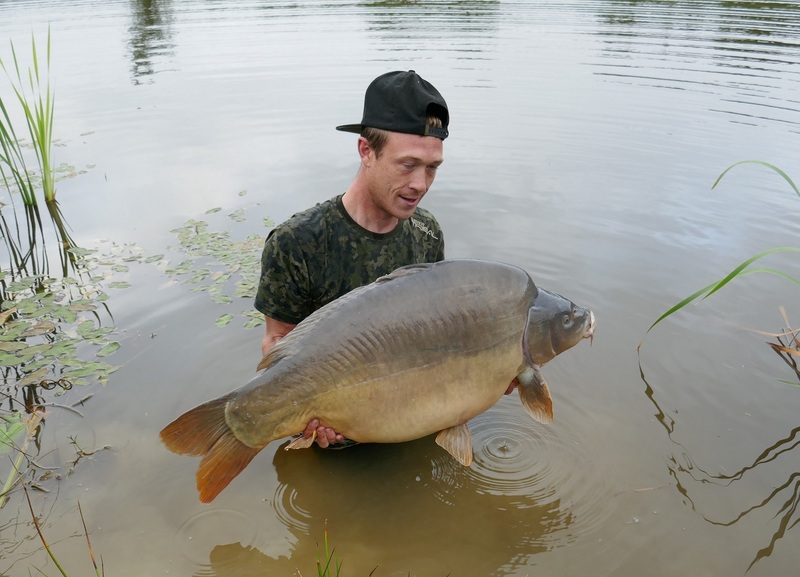 and new complex record, a 53lb 4oz Leather Carp nicknamed Silverback, caught by Ryan Owen from Manchester.Not only does Ryan come on holiday to Anglers Paradise but this time he came with a friend and they fished one of the day ticket waters called Kracking Karp, the reward was his biggest ever Carp. He was so pleased that he went into the water to release the fish. Zyg opened a bottle of bubbly, had the first swig and gave the rest to Ryan. 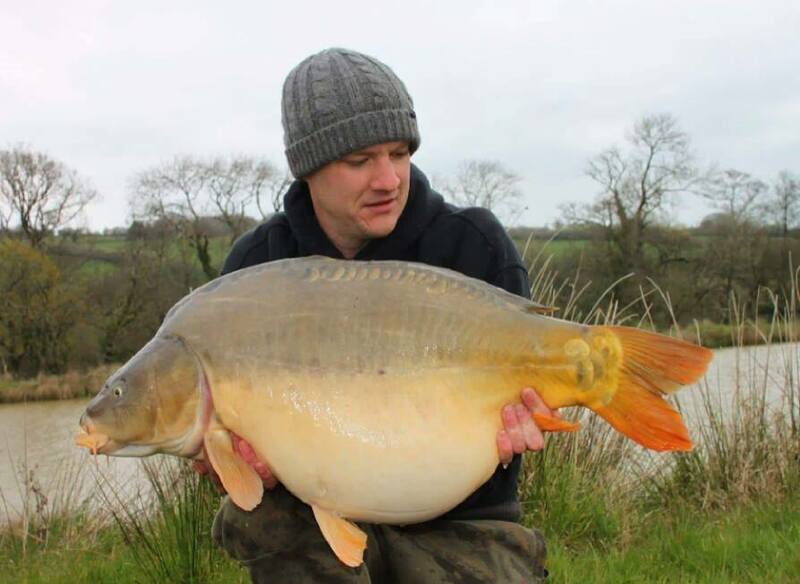 Luke Potter, 30 from North Tawton, caught this Personal Best 29lb 12oz Mirror from Nirvana’s Day Ticket Kracking Carp Lake caught on a snowman setup, fished over a mix of 12&16mm Manilla boilies. 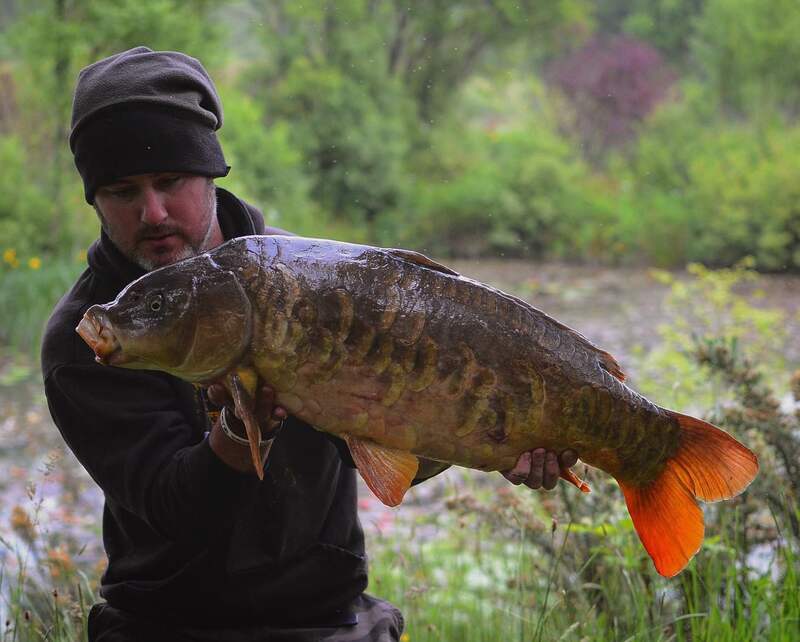 Luke saw lots of Carp crashing up the far end (inlet end) so he set up in the last two pegs and fished very tight to the right hand side of the island. 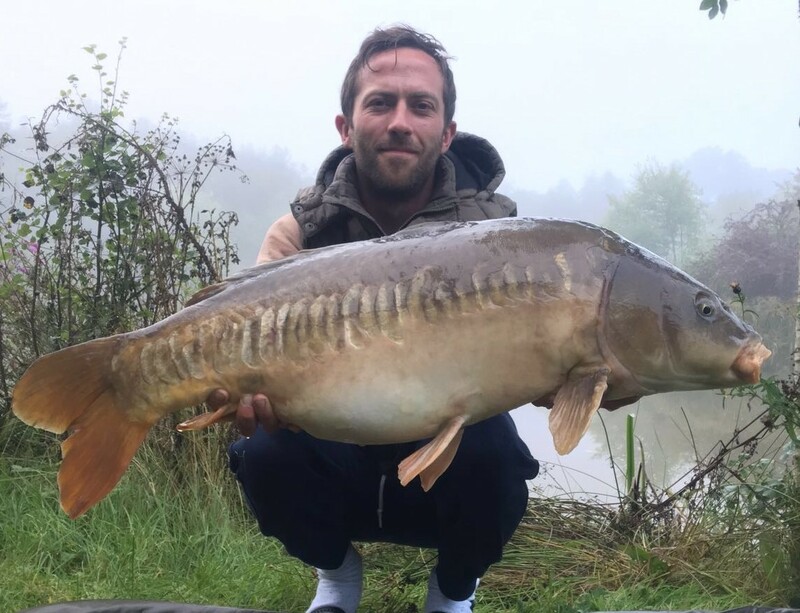 It’s the second time Luke has fished the Kracking Carp and to make the catch even more special, he caught it on the Morning of his 30th Birthday!! 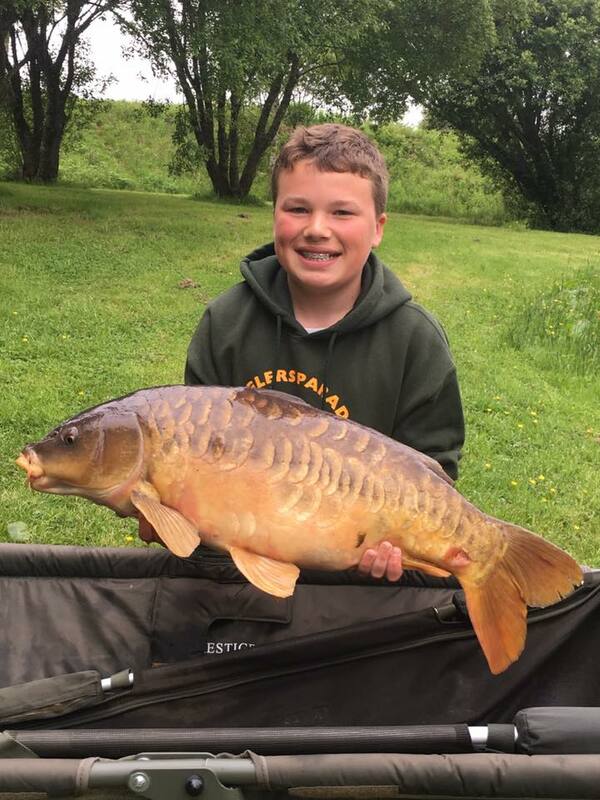 12 Year Old Alfie Bartholomew caught his Personal Best 19lb Mirror from the Main Carp Lake on a White Pop Up! It’s so great to see the younger generation out there with their Families enjoying it together. 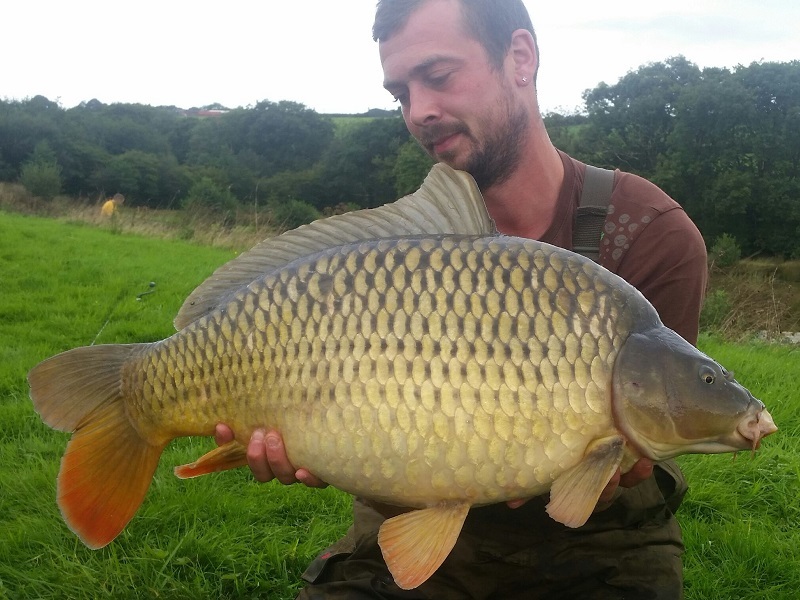 Tom Chambers from Skipton caught a stunning 26lb 8oz Common from the Specimen Carp Lake on Pellet fishing in the margins. 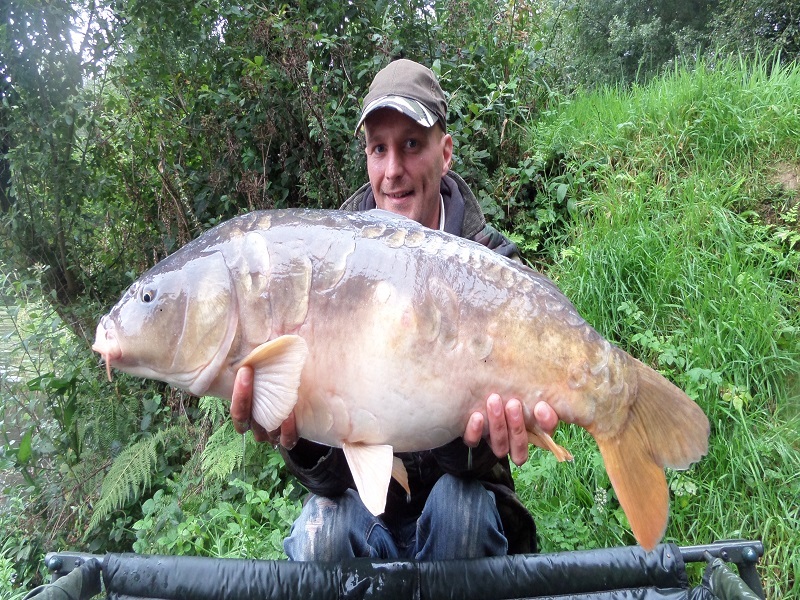 Lee Graver, 45 from Bude, joined his friend for a quick session, this was his 1st time on the Kracking Carp and within just a few hours he landed a New Personal Best 48lb 4oz Mirror beating his previous PB by 10lbs!! 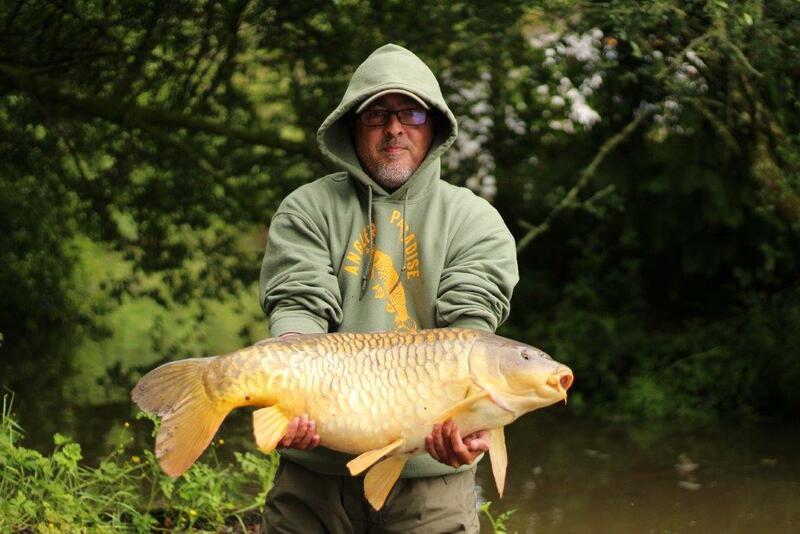 Lee used a 3oz inline drop off lead, with inches of esp braid, size 6 barbless hook with 2 grains of fake corn, he fished from swim 3 across the far margin. 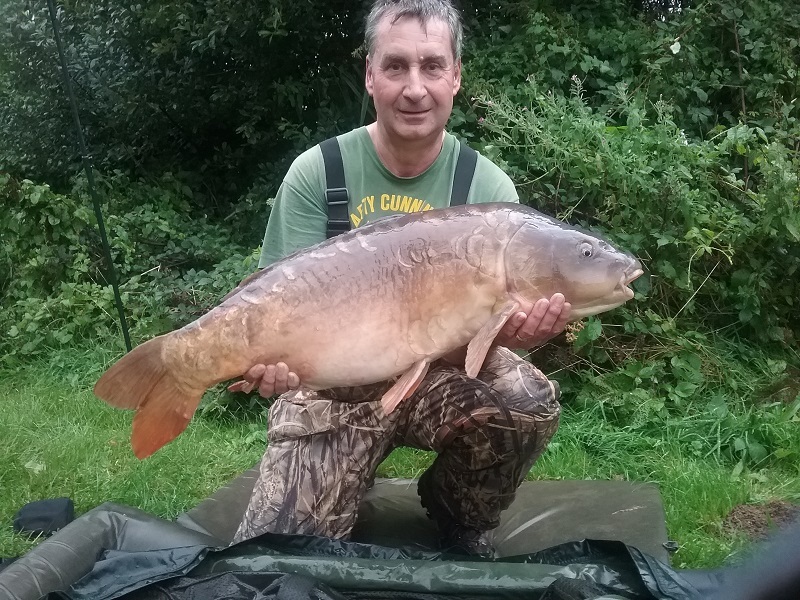 Thomas Starbuck, 48 from Croydon, London, caught a Personal Best 25lb Fully Scaled Mirror from the Main Carp Lake using an ARSD rig from CMCR, on a 18mm Essential Cell Wafter. The latest new from Zenia at Anglers Paradise. 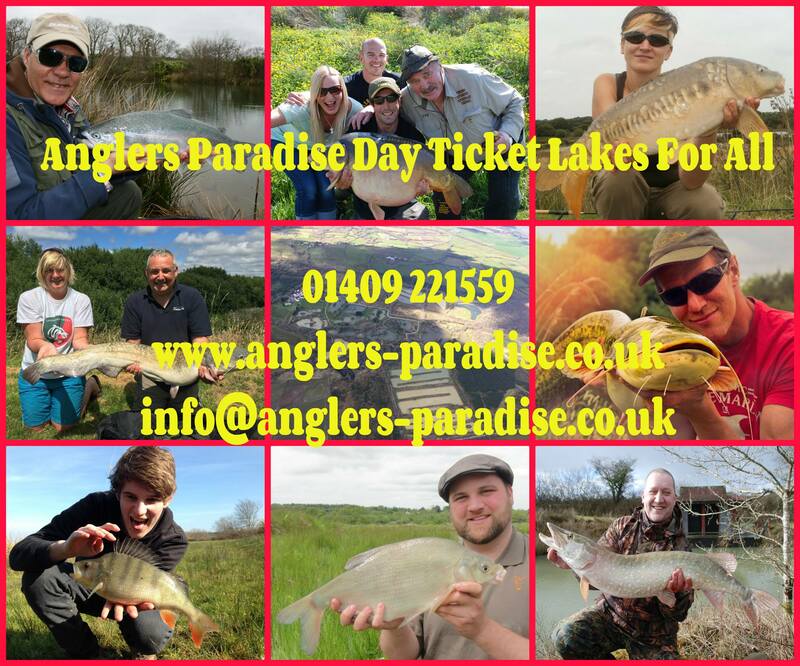 A chance to bank a huge carp on a day ticket! HAT TRICK FROM THE KRACKING Carp Lake! 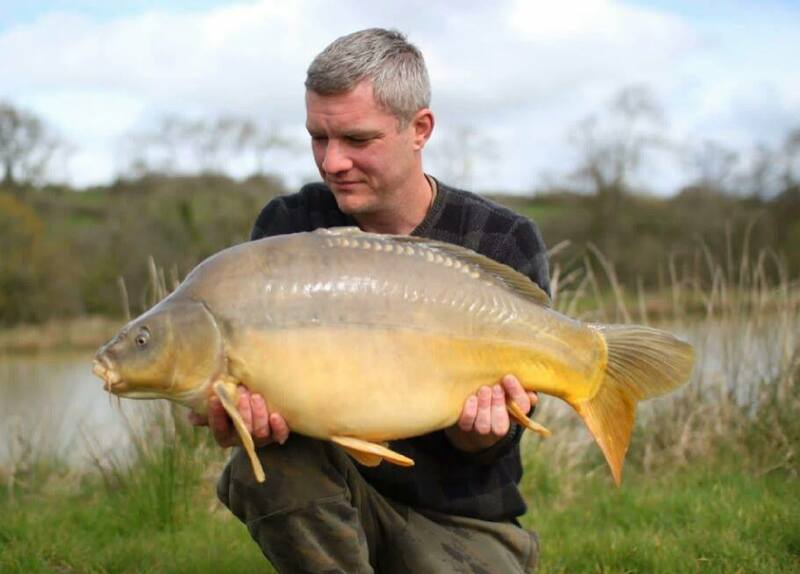 Graham Kelly, 36 from Tiverton joined us for the 1st time to fish the Kracking Carp Lake. AS many of you know, this Lake is challenging but to come here for the first time and to catch all 3 bites (let alone get 3 bites) is not something we hear often!! 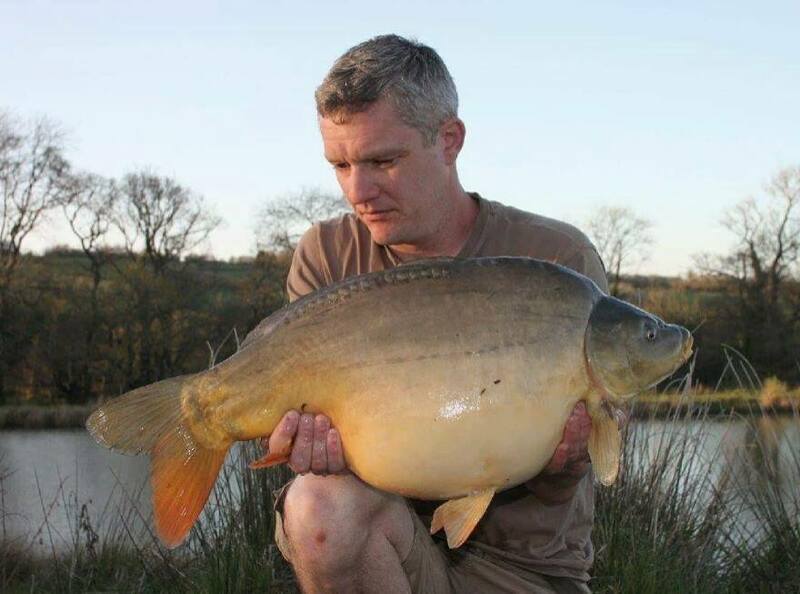 Graham had one hell of a session, resulting in him catching a hat trick of Mirrors – 20lbs, 25lbs and 35lbs!! 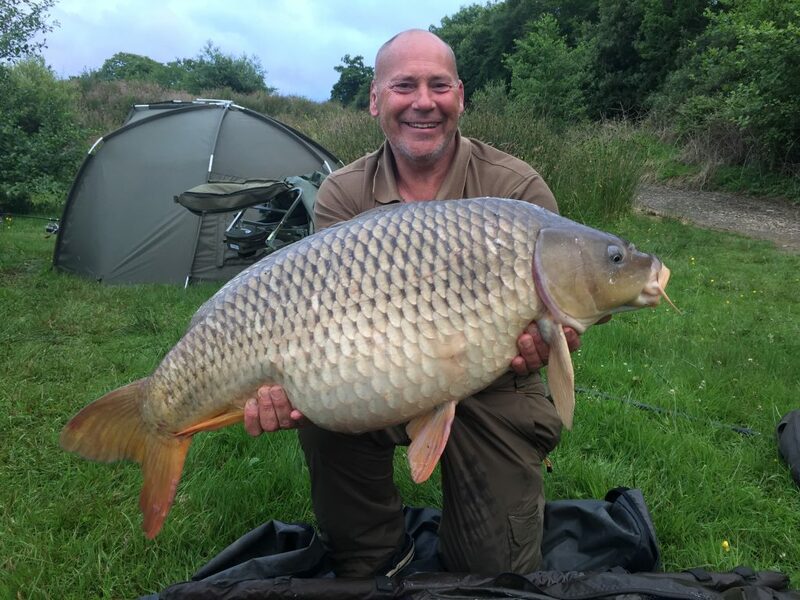 Graham fished from Peg 2, used sweetcorn and pellet with a simple in-line lead set up, and the moral of the story is – keep it simple – it works! 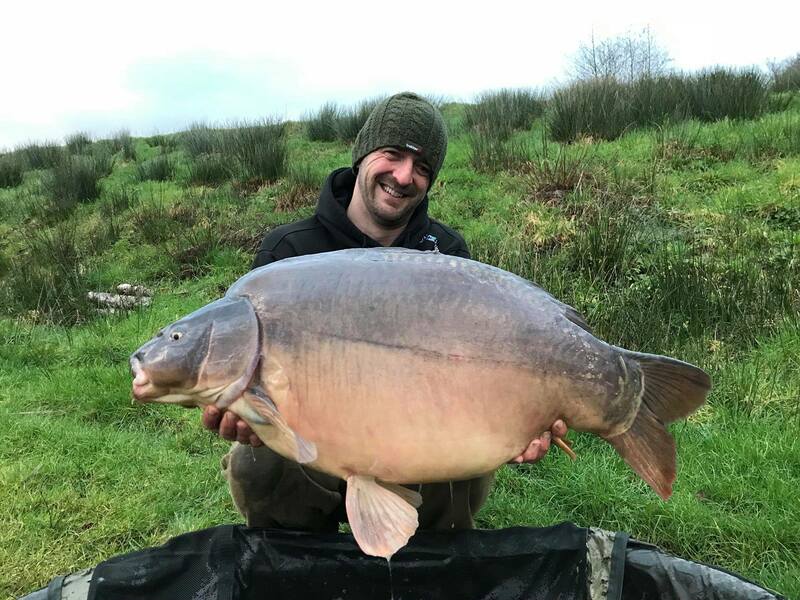 BIG Congratulations to Arron Fisher who has caught a 47lb 6oz Mirror from the Kracking Carp Lake, not only is he the first angler to catch on Kracking Carp this year so far but this fish is also Arron’s New UK Personal Best Carp, as you can imagine, Arron is pretty chuffed with himself and quite rightly so! 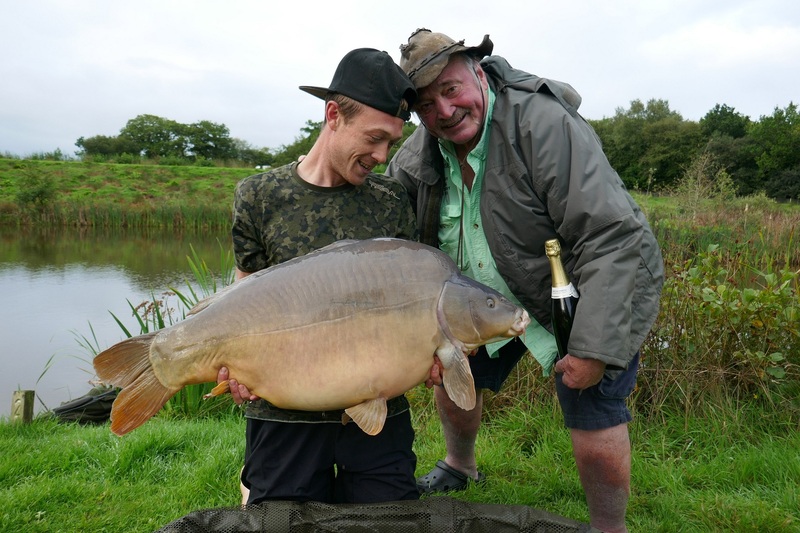 The Kracking Fish have been brought on for many years by our team from Tiddlers at Ounces to THIS BIG, so we are very proud to see anglers go onto catching them and making New PB’s! 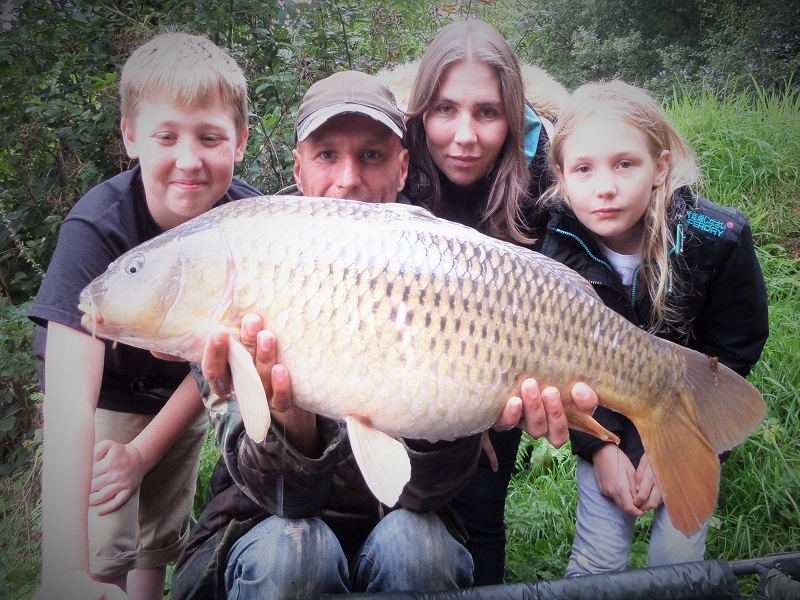 BLACK EYED COMMON WINS FISH OF THE WEEK! 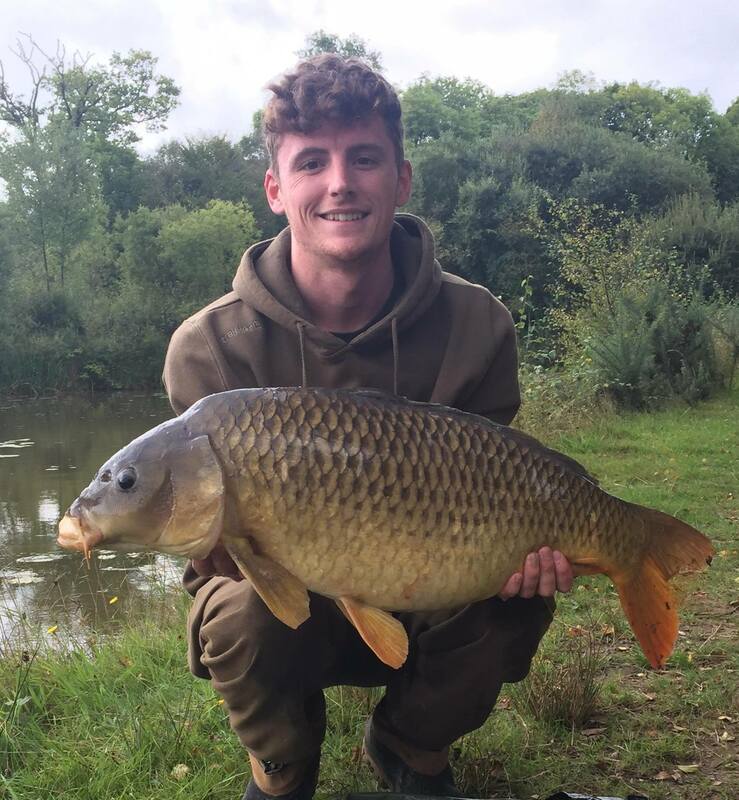 Sam Lunt, 24 from Manchester caught a Rare Black Eyed 21lb 10oz Common from the Specimen Carp Lake which is the biggest fish to date that Sam has caught from Anglers Paradise. 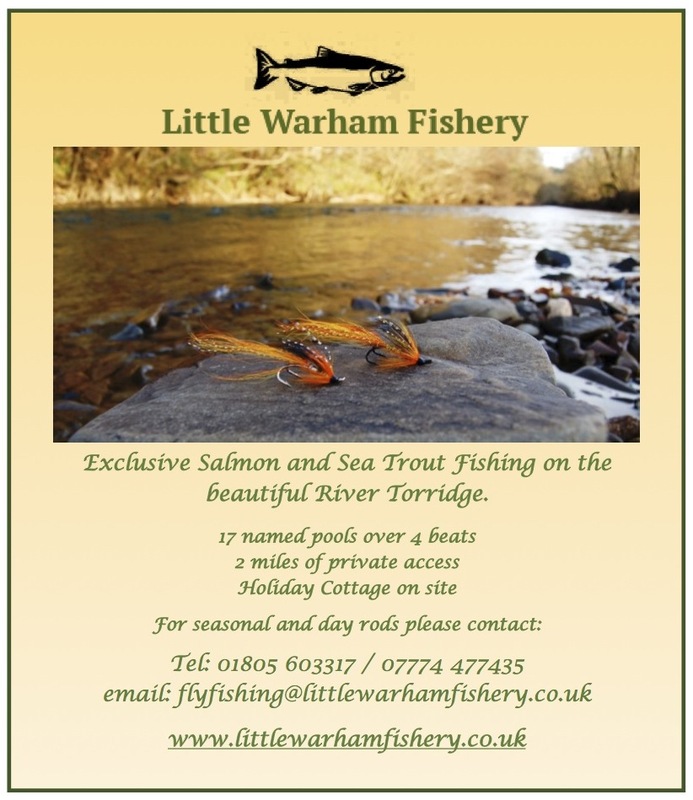 Sam’s Story – “Last day of the week and still not caught anything over 20lbs, although the Specimen Carp Lake has been fishing hard, I fancied this was the best chance of getting one. I was down early in the morning but nothing for the 1st couple of hours, until a Pastie decided to take my Bait! I cast back out onto the spot and it wasn’t out much longer than 5 minutes before it ripped off, I knew when I hooked into it that it was no pastie this time!! 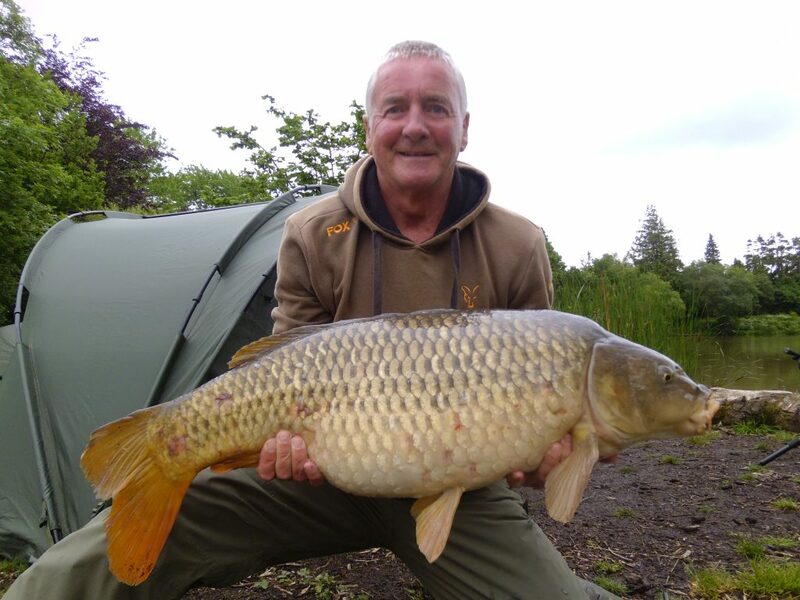 After a hard battle crossing my other line it went into the net 21.10 Common……Happy Days. 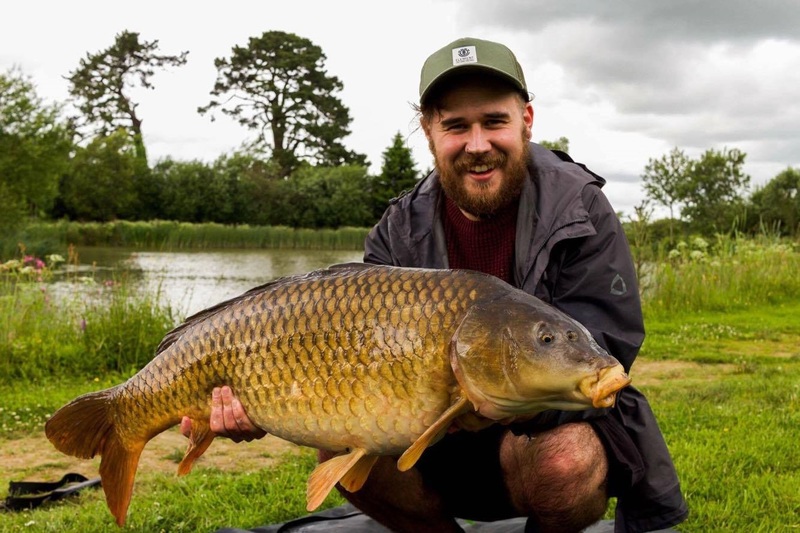 This was my biggest Common from Anglers Paradise, it was an unusual fish as it had a black eye and I have never caught a fish with one before which made it special!” Sam caught the Common on a KD Rig with a Mainline Cell Boilie. 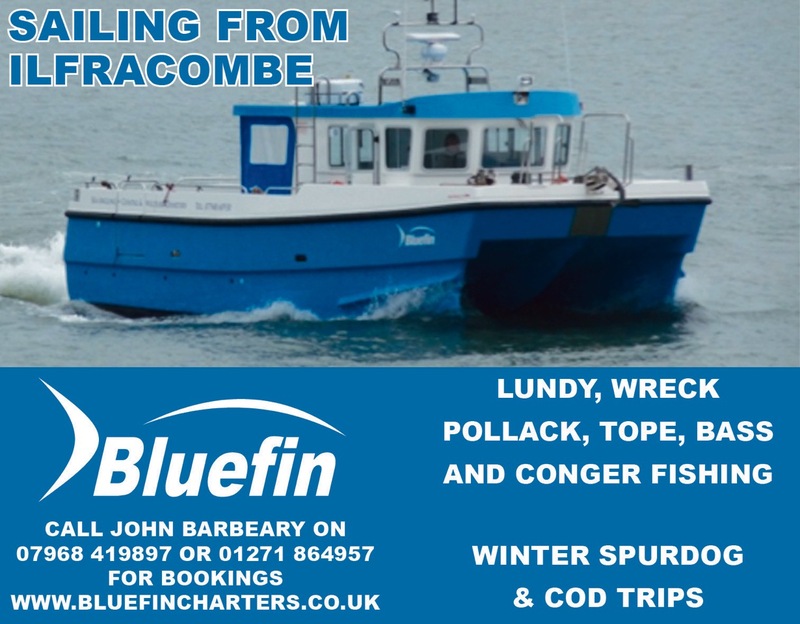 It may be a Common but it’s certainly not a Common Fish we see everyday!! 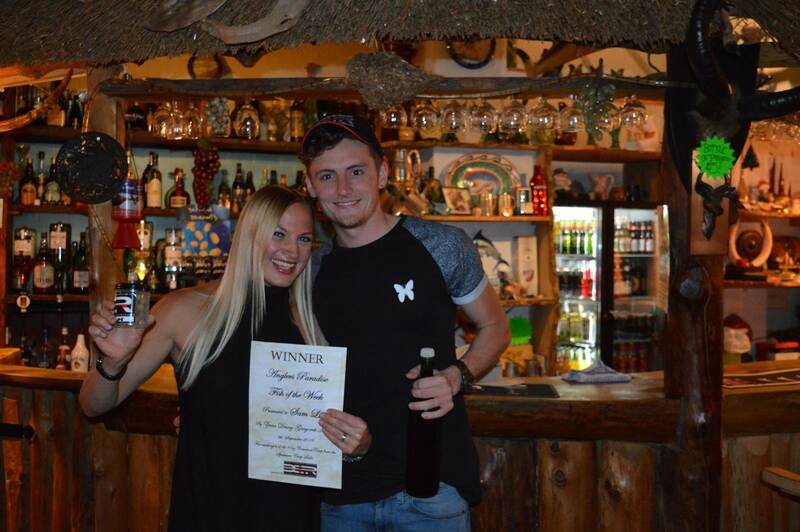 WELL DONE SAM! 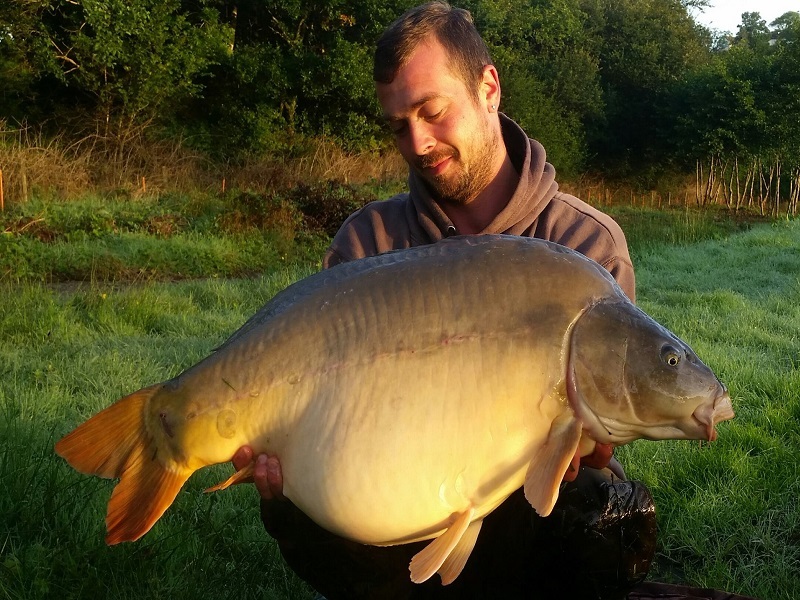 The latest report from Anglers Paradise contains images of some superb carp from Kracking Carp Lake and other waters on the famous complex. 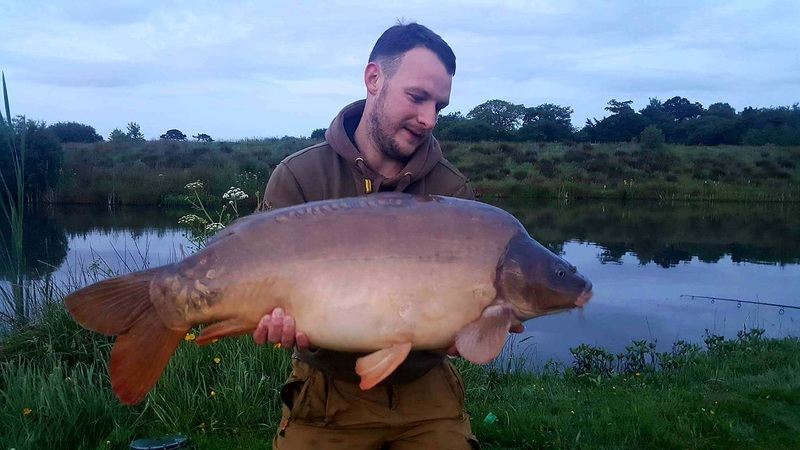 Jamie Fox from Manchester was a Happy Chappy when he landed this 45lb 8oz Mirror from the Kracking Carp Lake, he even got in the water for pictures! The Best Pictures are in Water and also best for the Fish! 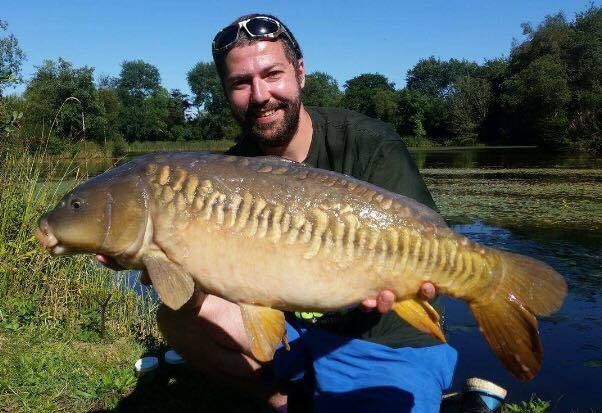 Jamie caught the Mirror amongst the Lillies Free Lining with Fake Corn as the Hook Bait. 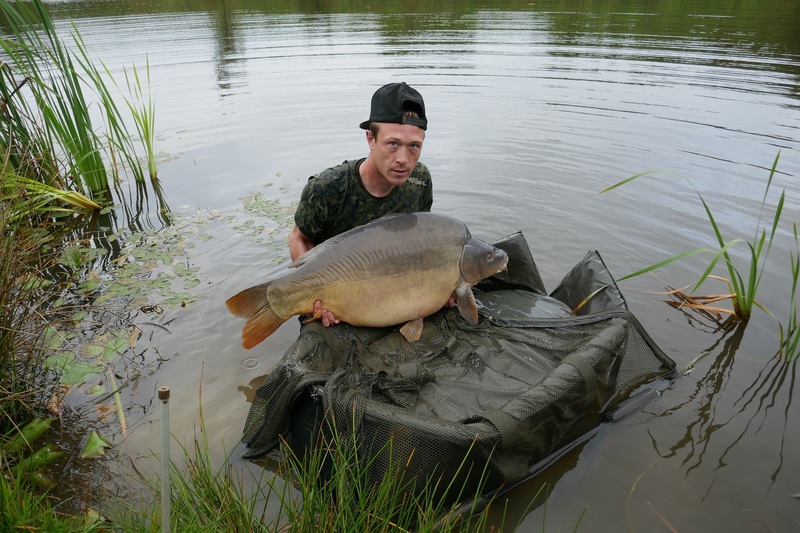 Ellis Titheridge, caught a lovely 23lb 12oz Mirror from the Specimen Carp Lake on a Active-Bait-Solutions Custom Boilie fished as a single hookbait. 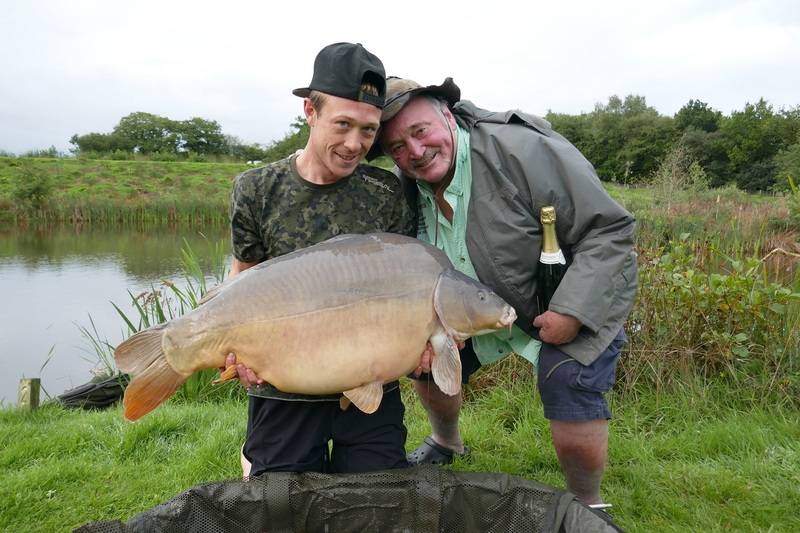 Father and Son, Alan and Shane Burns from Merseyside, decided to give the Main Carp Lake a go and did really well between them. Alan caught a Personal Best 28lb 2oz Common and Shane caught a Beautiful Scaley 20lb 12oz Mirror and a 24lb Mirror using bottom Bait Rigs with Cell topped with Corn. 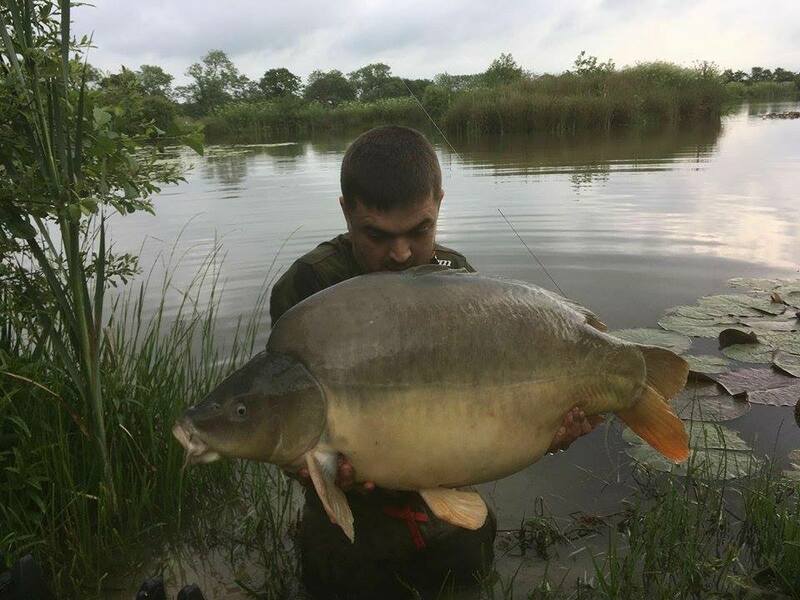 Alex Bishop, 18 from Southend had a surprise Catch from the Specimen Cat Lake when he landed a New Personal Best 31lb 8oz Mirror rather than a Cat!! It’s the only Carp in there and Alex caught it! 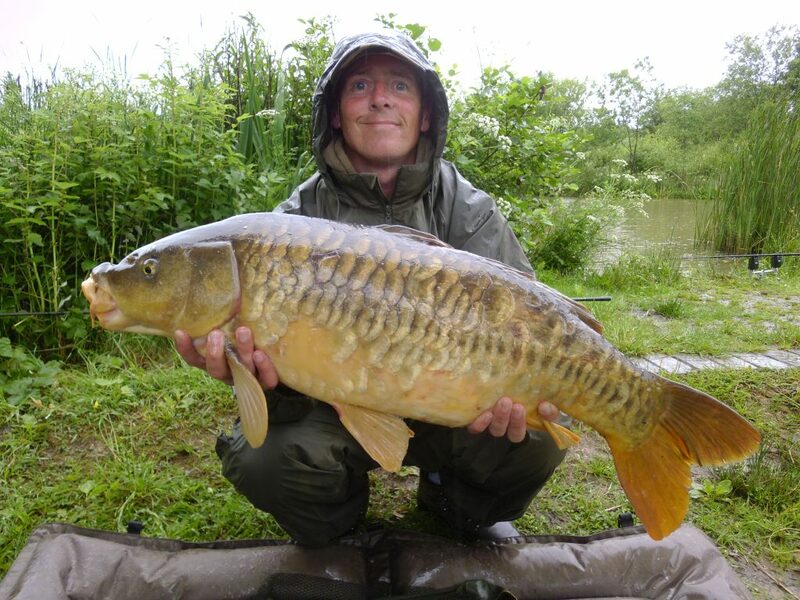 Alex caught the Mirror on a Halibut Pellet topped with Fake Pop Up Corn.